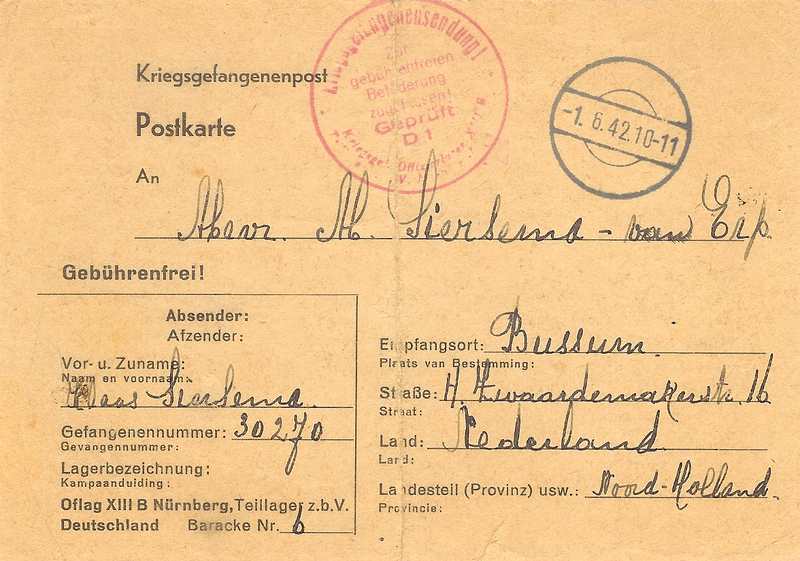 Front of a letter from Joseph Ferraubella at Stalag VB 19 to Gertrude van Hier in 1942. 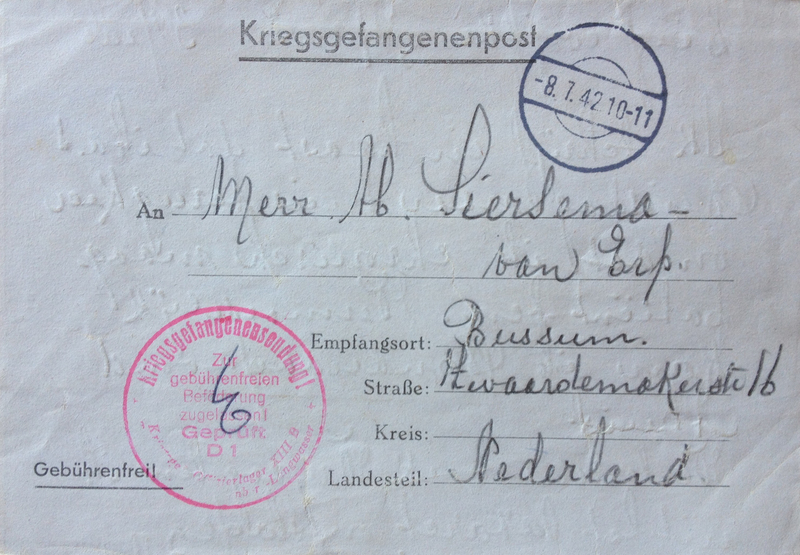 Back of a letter from Joseph Ferraubella at Stalag VB 19 to Gertrude van Hier in 1942. 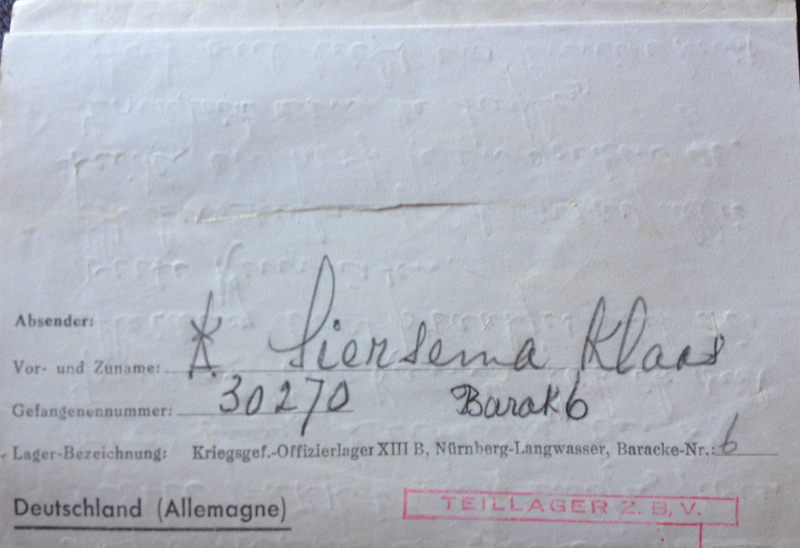 This letter was in a box of my great-grandmother’s things and it stood out to me for obvious reasons. 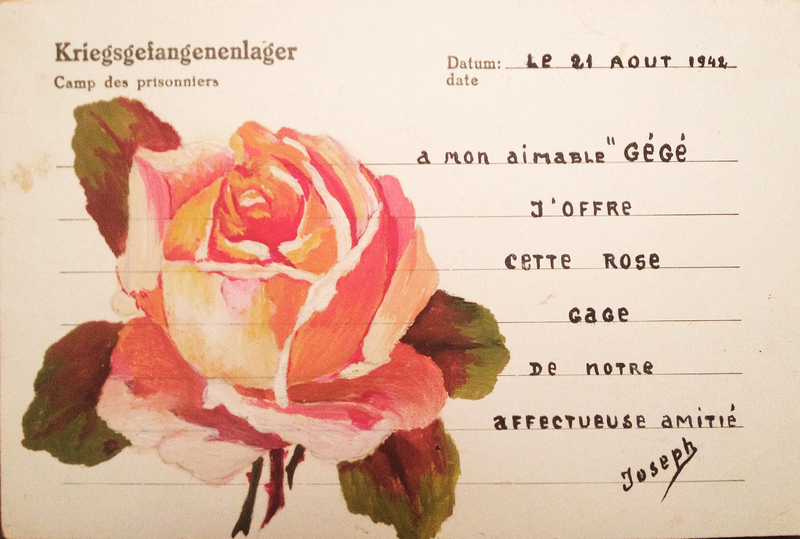 Turns out, one beautiful thing did make it out of the war -this painted rose by Joseph Terraubella. I don’t even know how painting materials make it into a prisoner of war camp. 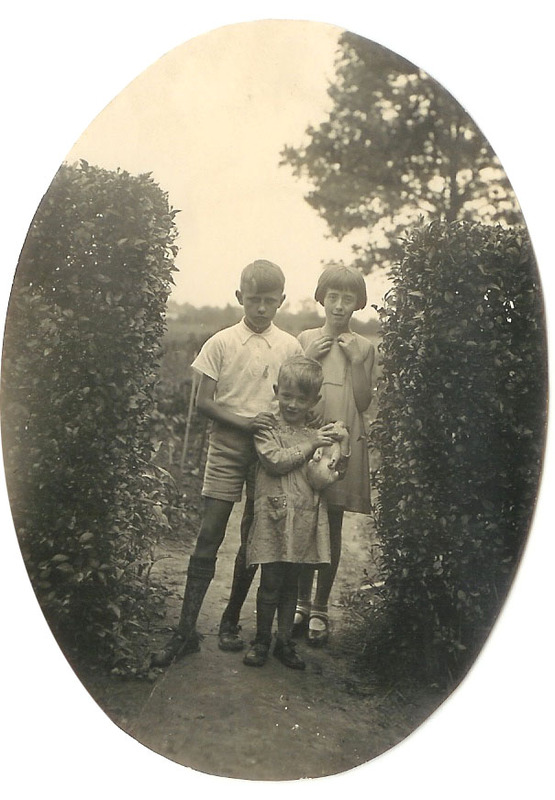 Anyhow, I would really like to know more about Joseph and Gertrude, who I am guessing was a friend or relative of my great-grandmother’s. I’ve scoured the Internet with no luck. 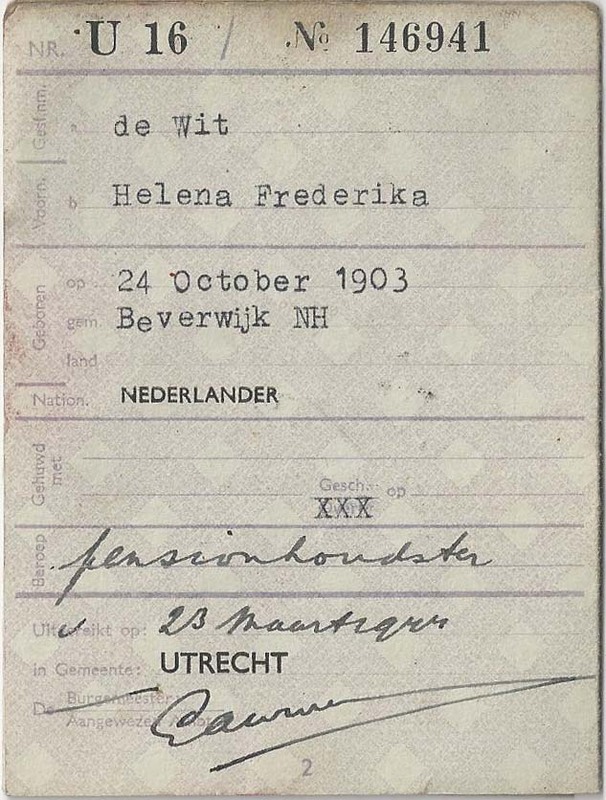 My great-grandmother, Helena de Wit, also lived in Utrecht, a fact which lends itself to my theory that they were friends or relatives. 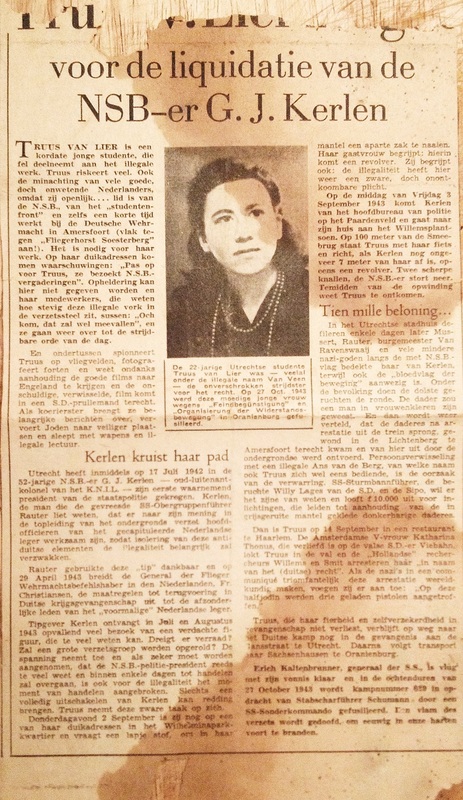 Newspaper clipping about Gertrude “Truus” van Lier. 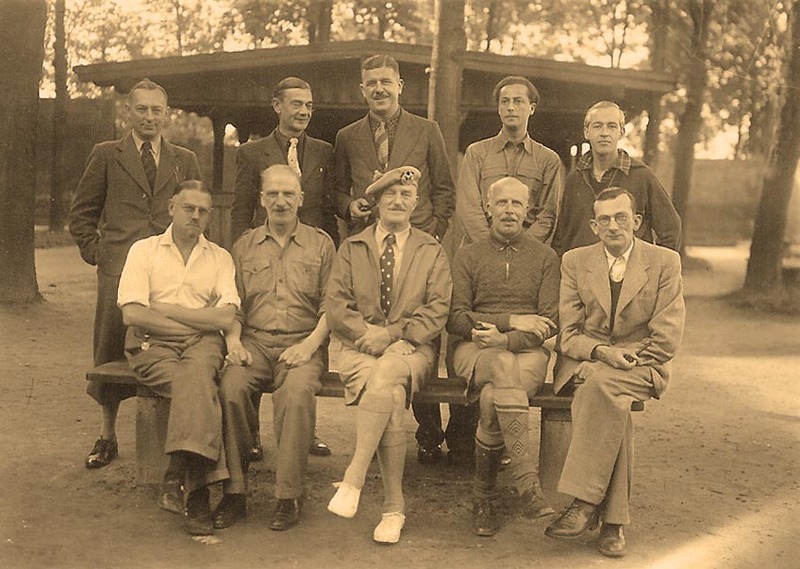 As Anje notes, van Lier, a CS-6 Dutch Resistance fighter, was executed Oct. 27, 1943, at a POW camp. She was 22 years old. Please see Anje’s comments below for links to webpages about her. 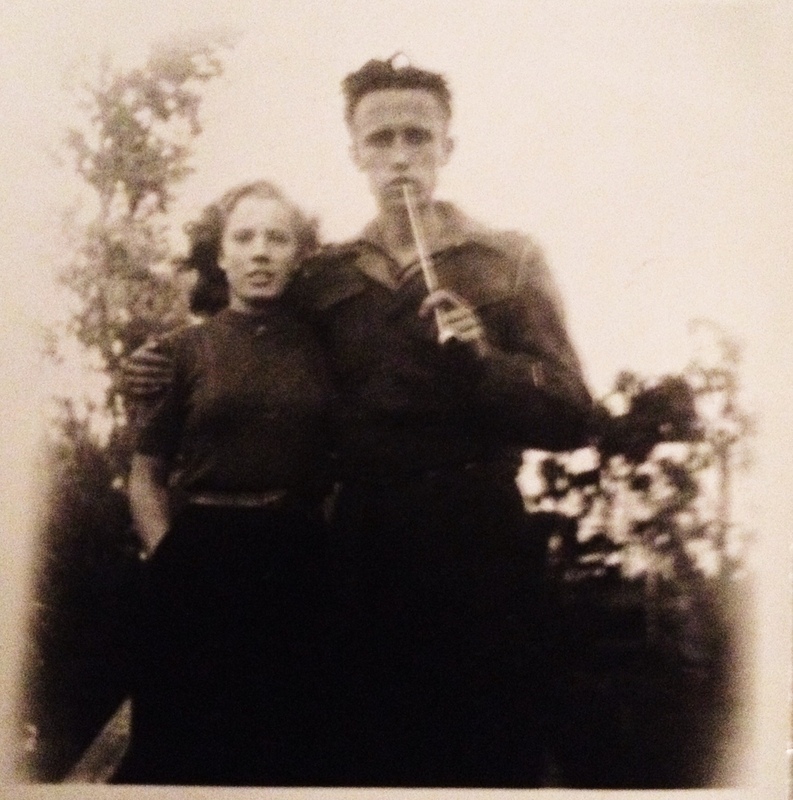 This photo was in a box that belonged to my grandfather Johan Nico Siersema, so I could infer that it was taken in the Netherlands during WWII — likely by one of his relatives. 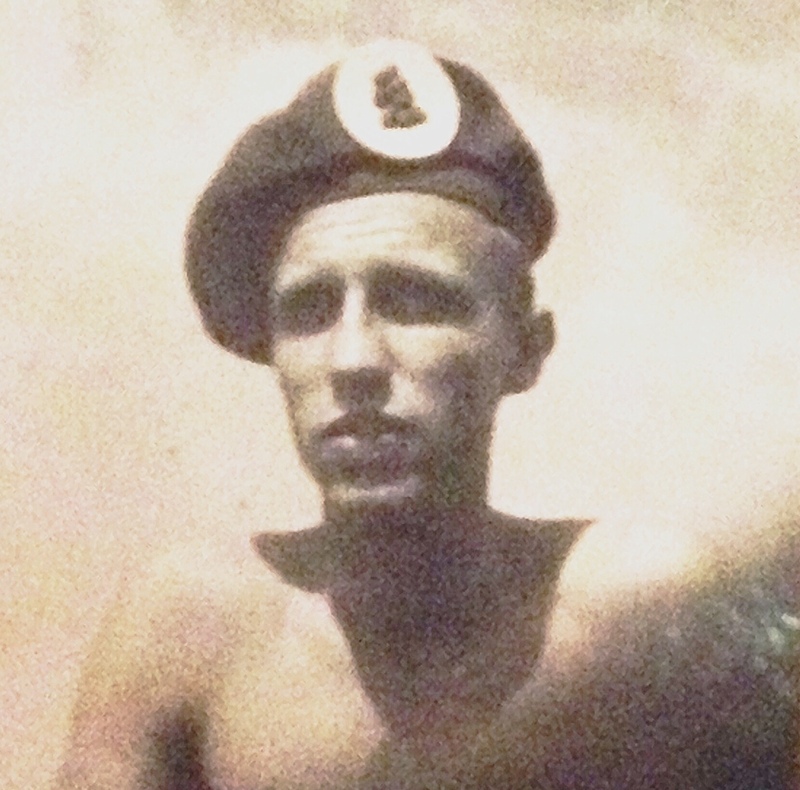 But, since I didn’t know much else about it, I posted on the military history sub-Reddit to see if anyone might know more. 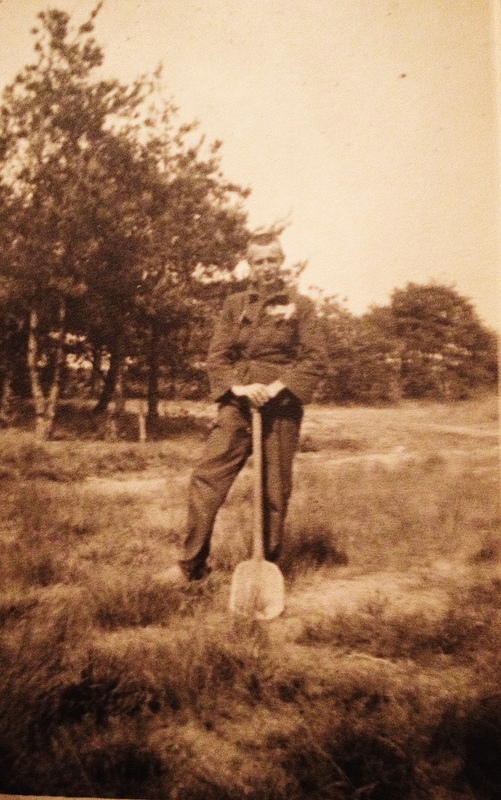 “Because your grandfather was Dutch, and there seems to be a Dutch flag in the photo, I’m going to say that this was at Arnhem in April 1945, during I Canadian Corps liberation of the city. 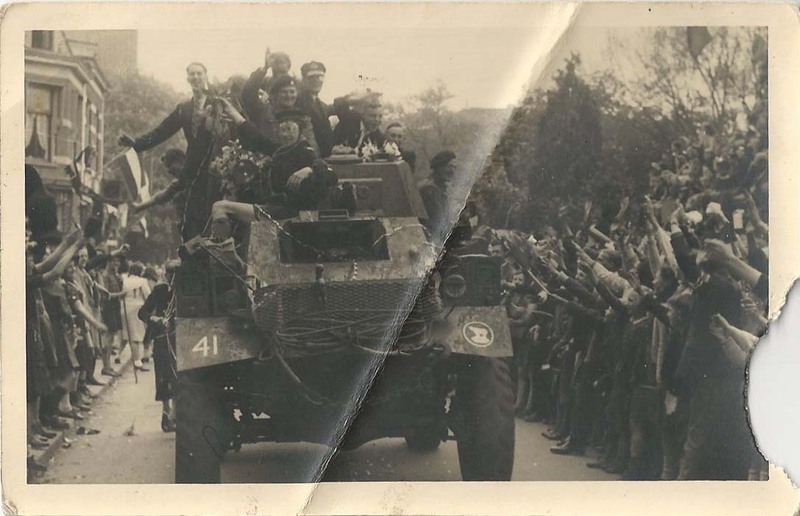 This was, as far as I know, the only major action in the Netherlands that the 49th took part in, and would certainly have merited a celebration. So! We know who is in the photo now, just not the when and where. If anyone has any ideas, let me know! 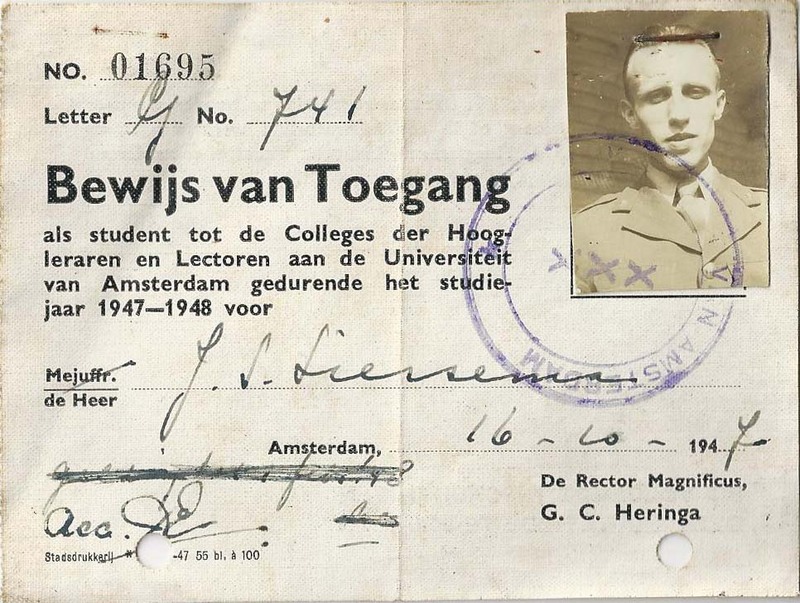 Student identification for Johan Siersema for a university in Amsterdam, dated 1947-1948. 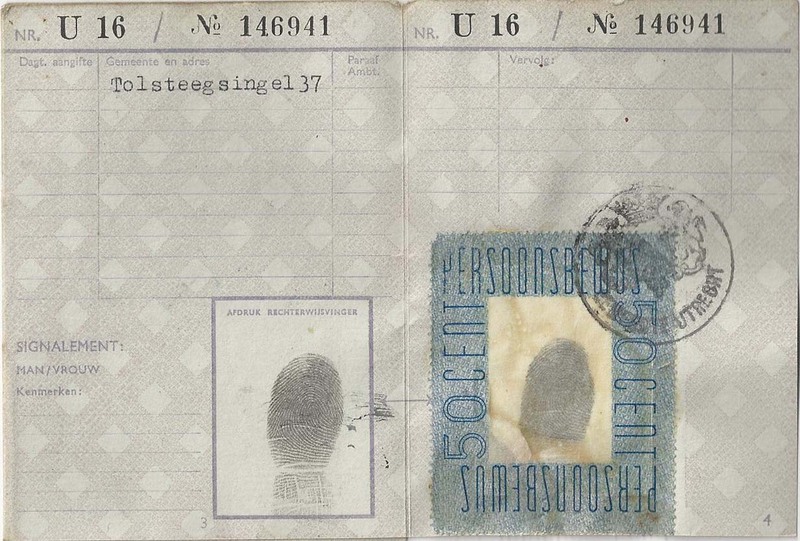 These are scans of the student ID my grandfather Johan Siersema was issued while attending the University of Amsterdam following WWII. 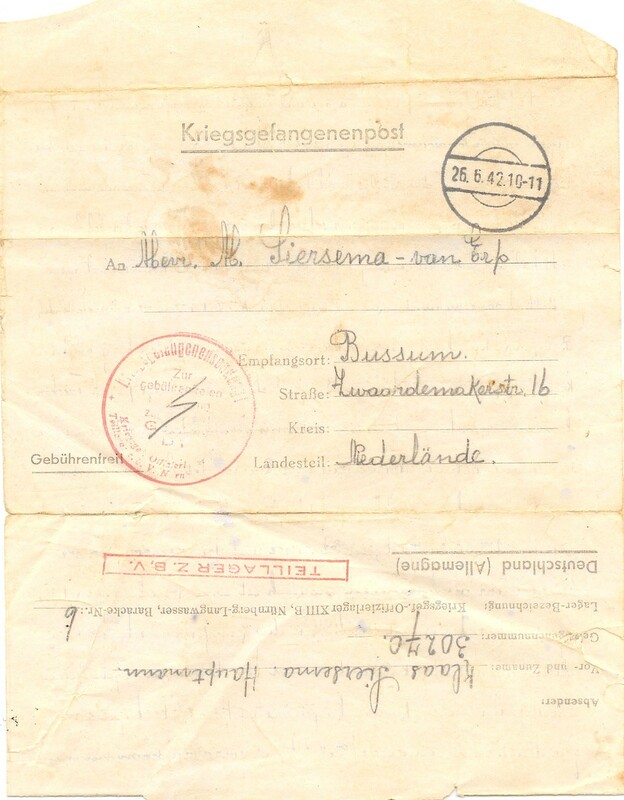 By that time, he had fought in the Dutch resistance, been a POW twice over, and lived through a difficult period of starvation during which he lost some family members. 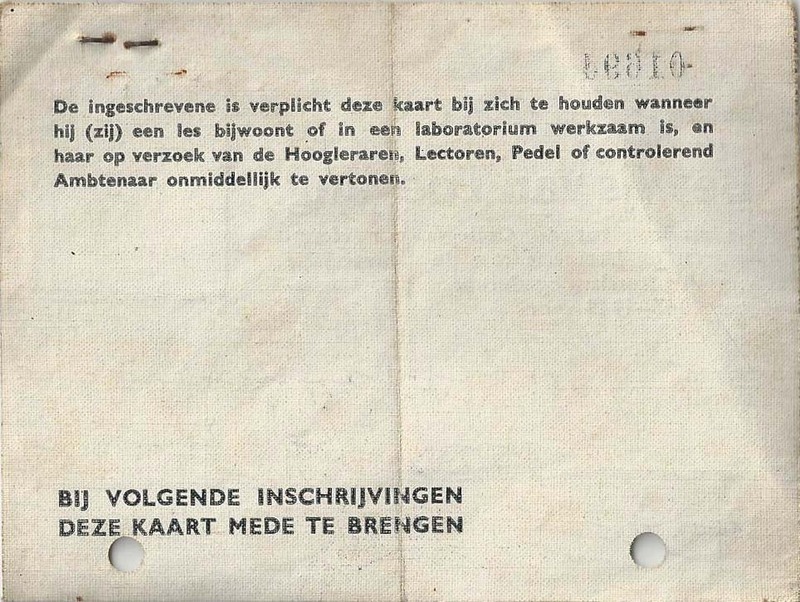 The new Dutch army wanted him to stay on, but he decided to go to school instead. Now, by “go to school,” I don’t mean that he went to classes. He was incredibly intelligent, with a 139 IQ, so he simply read the books, showed up to take the tests and then graduated with a degree in a economics — in two years instead of the usual four. I’ll write more about him in his bio, but I’m still collecting information on that! 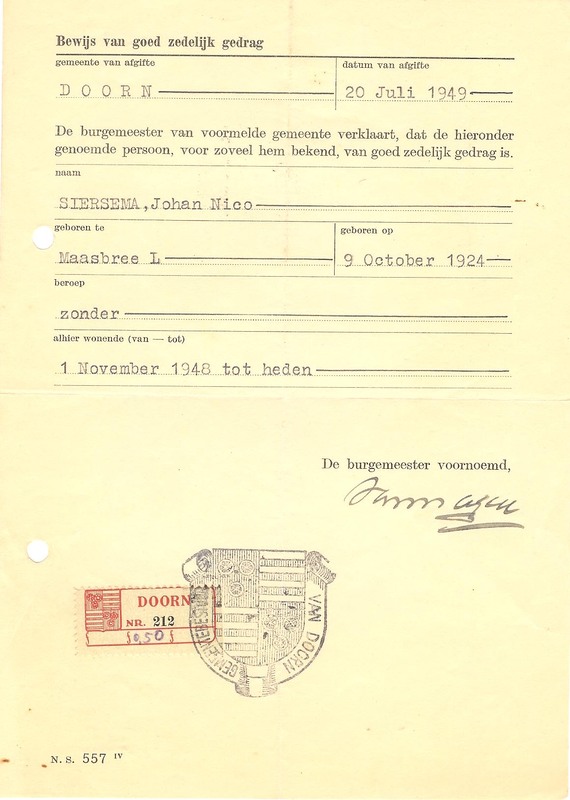 In this document from the 20th of July, 1949, the mayor of Doorn commends my grandfather, Johan Nico Siersema, as a person of good repute and good character. 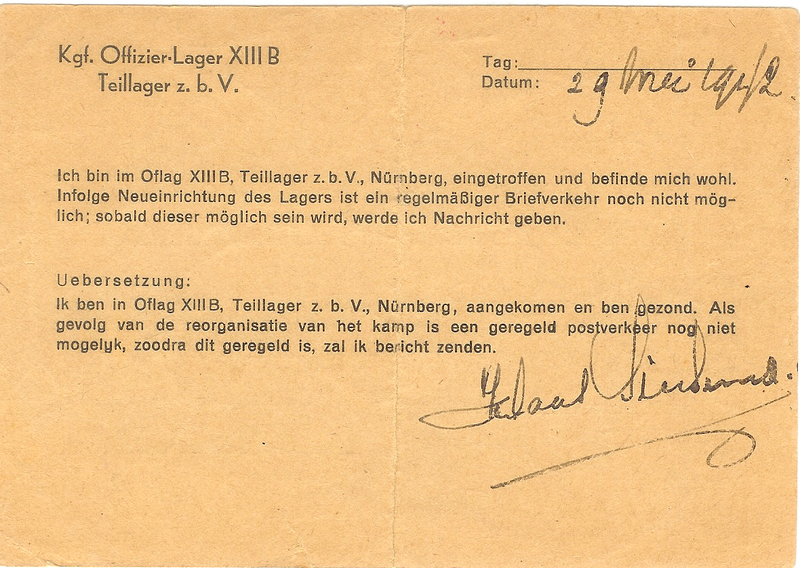 I’m not sure exactly what for, but possibly for service in the war. Still, it’s pretty cool to see. 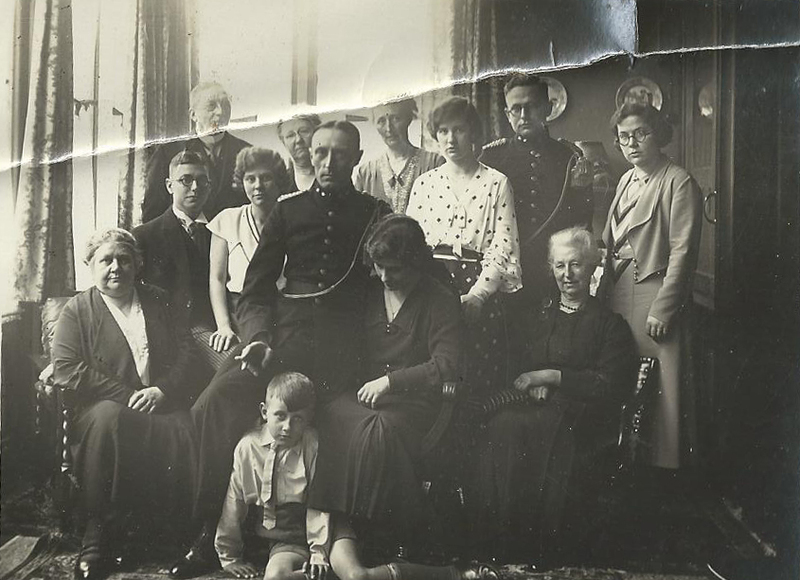 Due to the popularity of this post, I feel it is pertinent to add that this is the sole photo I have of prisoners of war, aside from one of my own grandfather. 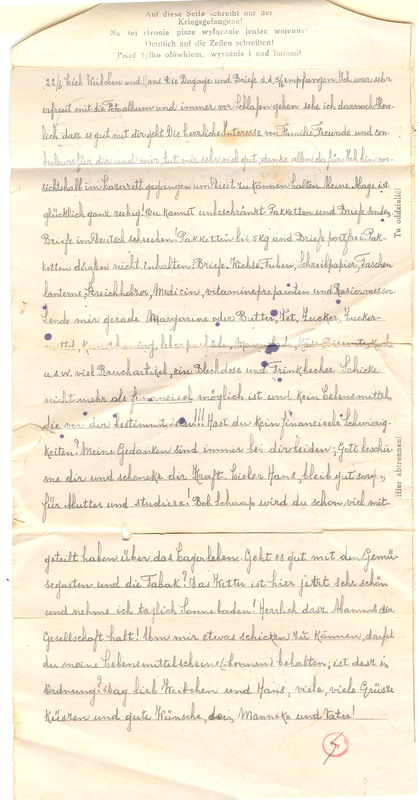 I have only a handful of POW letters (from the men I have listed in the post below), but not much else in terms of documents or knowledge about the camps or people in them. However, please feel free to use the commenting area as a forum. Perhaps someone else who is looking for what you’re looking for — or who has what you’re looking for — will also find this post. Thank you for visiting. May your search prove fruitful! 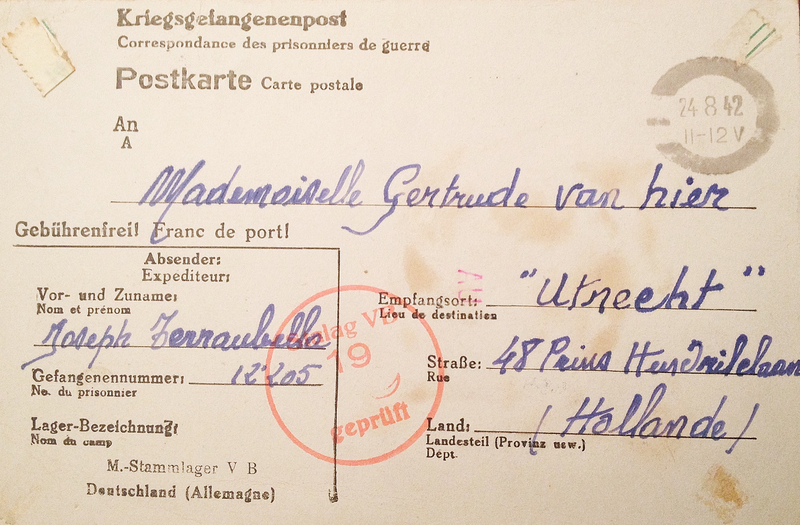 This is a photo of POWs/internees from WWII at the Ilag VIII internment camp, according to the stamp with the phrase “Gepruft 2” on the back. 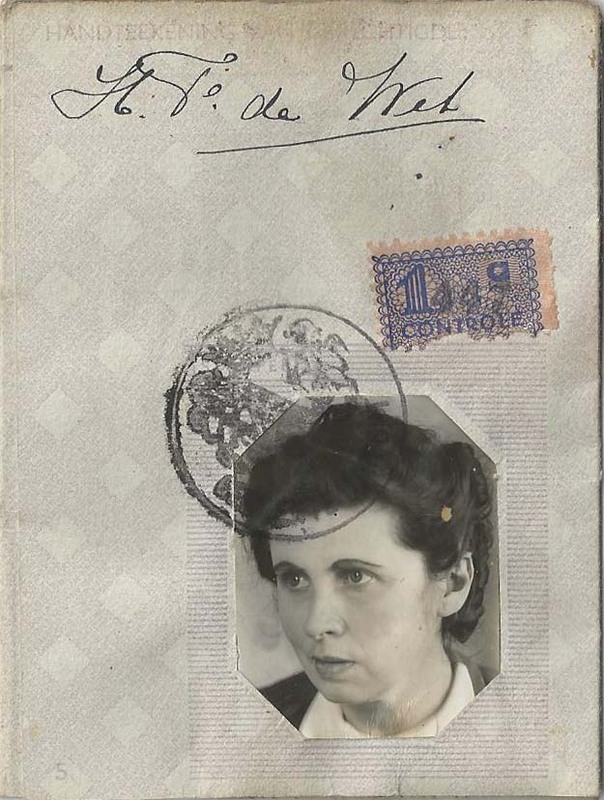 I found it in a box from my grandmother’s house which also contained documents and photos from my great-grandmother, Helena de Wit. 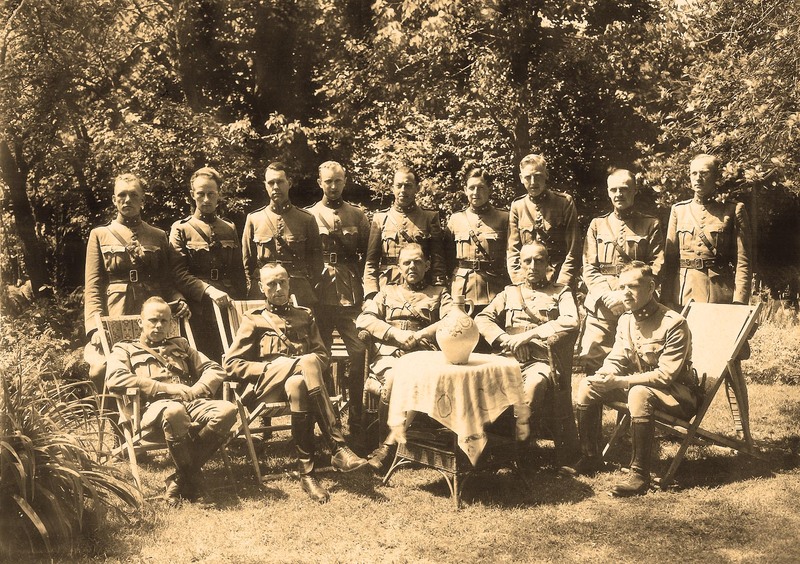 If you or someone you know is a descendant of one of these men, please post the details in the comments.